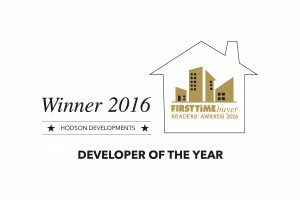 At Hodson Developments we are committed to achieving the highest standards through continuous improvement on each one of our new home developments. We do as much as we can to minimise the risk of injury to people and damage to equipment. Our commitment to first class Health & Safety is central to everything that we do and every decision we make. In fact, we aspire to have a positive health impact on all of the hundreds of people employed and affected by a Hodson Developments project. We ensure all our contractors, suppliers and partners share this commitment to promoting safe and healthy work practices on new home developments. We do this by strengthening risk management and showing effective leadership, alongside strategies that target site set-up, infrastructure, monitoring and reporting. Compliance with key health and safety legislation including the Health & Safety at Work Act 1974, The Management of Health and Safety at Work Regulations 1999 and the current Construction Design Management Regulations, whilst fundamental to the success of the company, is not of itself sufficient to meet its aspirations. The creation of healthy and safe workplaces which minimise the likelihood of injury or ill health is central to the success of Hodson Developments and requires risk identification and minimisation to be an integral part of all business processes. These policy requirements apply to all the Company’s UK operations.